On September 26th Nimble bit released their new Game Pocket Train. I’m a big fan of Tiny Tower and Pocket plain so I’ll we probably give this one a go too. It seems similar to pocket plain, hope I won’t put too much time in it because their other games were really addictive, I was always checking my phone for an update. Gamebox recently announced that with the launch of 5th server of Ancient Summoner “Vampire” (US EAST) on Sep 26, the new arena mode “cross-server” will be updated online. This new function has been highly anticipated by AS players that this function will diversify current arena battle mode. Get tired of fighting against those same old rivals of the your sever? Or are you already the champion in your own sever and no one can ever beat you up? You should neither get bored nor smug about your accomplishment as a totally new competition mode comes with the Vampire sever—cross-sever fights! Now you are able to attend the competition between sever 4 and sever 5, i.e. if you are in sever 4, you can challenge players in sever 5 and vice versa, which definitely guarantee unprecedented thrilling enjoyment. Whether be trashed or be the champion again and bask in glory, you’ll find it out right after you try it. Sink or swim, all depends on you! Come to test your skills now! In gratitude for players’ whole-heated favor and support, there are abundant gifts along with the launch of new sever, waiting for you to claim as always. Apart from that, many interesting and tempting events have been specially designed for you. All events, like Roses are Red, are going to reward you appealing items such as roses, silver and crystals. Final Fantasy V will make its way to Android on September 26. If you’re a fan of Final Fantasy or JRPG that a great news, Final Fantasy V was actually a really good game back in the 90’s but never made it to the snes. We had to wait for a re-release on the Playstation to enjoy it. The game wills have updated graphics and character portraits while retaining the 16-bit aesthetic of the original. If you never played Final Fantasy V, but played some other of the series, you will fin that the most notable difference is the job system. You can freely select a job for each characters and the characters can learn skill from the job he has and you can change it when you want. There was a total of 22 jobs in the original 26 in the gameboy advance version. Let hope they will give us the lasted update. 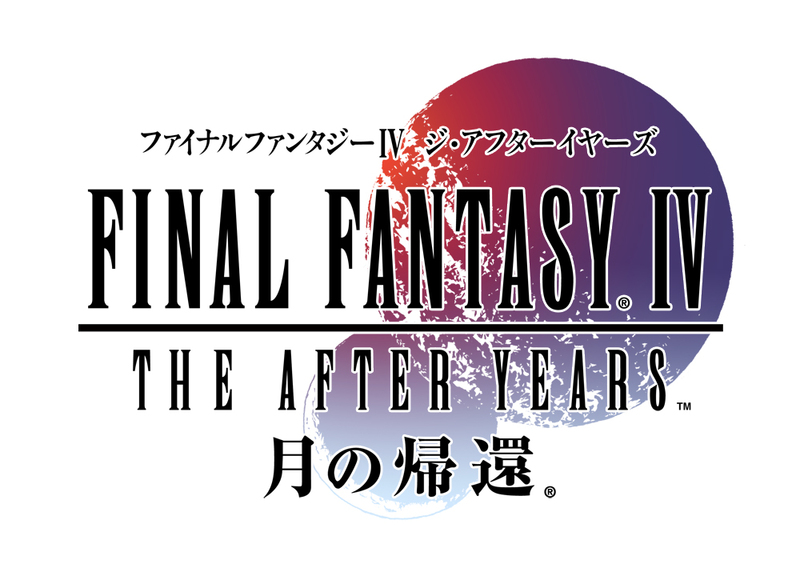 Final Fantasy IV: The After Years, is a follow-up game to Final Fantasy IV that was first released on mobile phones in Japan back in 2008. In 2009 it was reworked and released for WiiWare, and even appeared on the PSP in 2011 as part of Final Fantasy IV: The Complete Collection. The After Years follows the original cast 17 year after Final Fantasy IV finished. There are with some additional characters that are introduced including Cecil and Rosa son. It received the same 3D remake that Final Fantasy III and Final Fantasy IV received on the Nintendo DS & iOS. If this version is anything like the version release in japan, The game play will pretty similar and will include some nice combat feature like the new “Band” ability that are similar to the Double and Triple Tech in Chrono Trigger. Band abilities are extremely powerful, and there was over 70 different combinations in total in the Japanese version. The game is expected to be released this winter. Being a huge Final fantasy fan I couldn’t pass on making a post about these two great game. I’ll will definitly buy the Final Fantasy IV one, the original was one of my favorite of the series. I’ve talked and reviewed Lone Survivor awhile ago and it seems that the game made a come back on the PlayStation store yesterday (25th of September) in Europe and is coming to the us in the upcoming week (or two according to this source). Curve Studios worked really hard to port the wonderful side-scrolling horror game to Playstation. It is not the old game it has some additional content, hence the “Director’s Cut” in the name. The new game will have new lighting system, new dialogue, over 20 new items, brand-new endings, and plenty more. 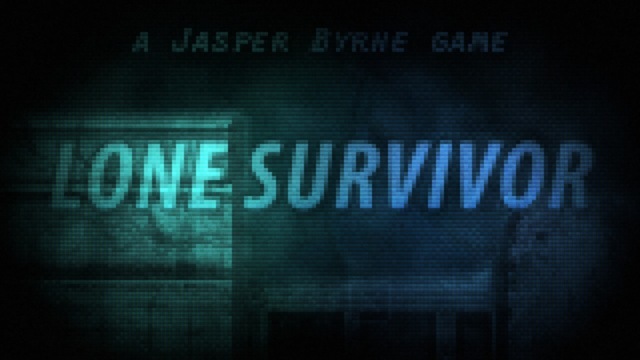 P.S: Funny story, my spell checker want to change Lone survivor to Loan Survivor that would be a very funny title for a game! no ? If you’ve been living under a rock you know that apple have released the new IPhone 5S & 5C. What actually important is that infinity blade 3 was released the same time the new IPhone was. I’ve talked a bit about the game first and second instalment, and it is said that the third Infinity Blade make full use iPhone new hardware and enhance rendering. So our friend at toucharcade have played the game both on IPhone 5 and 5S and you can see the subtle differences on each phone. That might look all great but maybe you want to know first what Infinity blade is all about or you want just a quick reminder of what happen in the first 2 game. You’re lucky, it can all be found on youtube and we got you covered, the guys at toucharcade (they love this game) even have explained everything in between the other games just for you. Hope that convince you to buy the game or at least try one of the 2 previous one. If you’re following this blog, you should have gotten them both for free by now, if not you have to pay full price or wait for it to be free again. The Bundle In A Box (actual name of the deal) contains 13 RPGs for Windows (several of them are playable on Linux and Mac too). The games in the bundle includes Sinister Design’s Telepath RPG: Servants of God, Charles DeYoe’s Unemployment Quest, and Gooey Blob’s . Go grab them now, it end in 11 days. For better management of werewolf, Ancient Summoner official site offers the strategy of werewolf cards. As a bloodthirsty race, the instinct wildness and agility lead werewolf to the most horrible killer in the continent. Fenris the Butcher, the most powerful one of halfblood, needs a detailed description indeed. Fenris the Butcher（Epic）has a relatively high initial attack value-5. His 13 HP is also outstanding, and with its 3 CD, it is surely a rare card. Sprint, the shared attribute of halfblood, endorsed it good mobility. And the attribute “Rage” makes it terrific when injured. But what fair is that it also has weakness—when you summoned it, the attribute “Blood Price” caused you 3 damages. Add the attribute of “sanctuary” or those that can recover HP to Fenris the Butcher to ensure it won’t die when injured, thus it can become the nightmare of opponents. It’s fair to say that priest and Fenris the Butcher is the perfect pair. 1. Kill it with units or skills of high attack as the activation of the attribute “rage” is counted by attack turns and it increases 1 attack every time after you attack it. So if you use the card that has only 1 attack value, Fenris the Butcher will become very horrible. 2. Use a card that can fly over it to avoid frontal confrontation. 3. Use a wall to block it. The fourth is to use the Mage’s attribute of petrify. 4. Add the skill of “sanctuary” to his target and let him reap the consequences, when you are a priest. The introduction of death knight entry into Ancient Summoner is about to come in the next stage. What’ll happen when death knights lands in the fantasy? Interested and expected? Let’s wait passionately until it is unveiled! Werewolf Invasion: Big Thing Happening to Ancient Summoner? 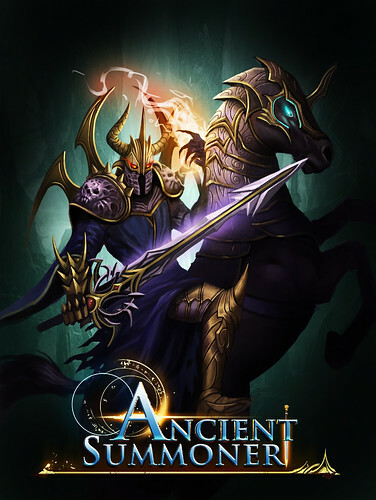 The unprecedented yet highly praised card game Ancient Summoner, after 3 popular servers launch, is going to start its 4th server-Death Knight, as a timely reaction to the warmly expectation of millions of players worldwide. The name of S4 is derived from the earliest legend of werewolf which must trace back to 1216 when John Lakeland, King of England, was poisoned to death. It was said that the poison contained aconite, a plant that converted people into werewolf. Soon after, people heard howling from the king’s grave, and some even claimed they had seen the king turned into Death Knight in normal night, but Werewolf under full moon, wondering around in the forest. It’s been a while since Gambox’s General War: Memories went online and now it has gathered thousands of players. Now a new server S8-Maryland has been launched! In this game, players may use various strategies with a wide range of formations, combination of units (infantry, tanks & artillery), equips and skills to fight alongside their alliance mates, you can do whatever you want to command your troops to success. 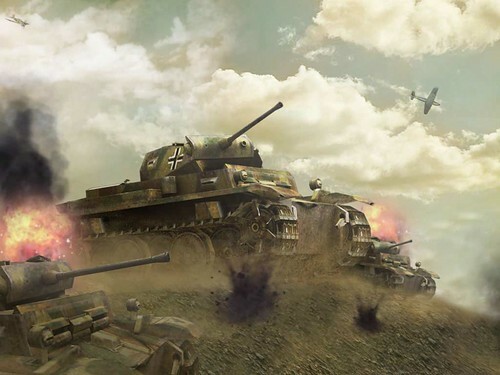 All the elements in the game, including the maps and storyline are based on history, thus it gives players an exciting experience of commanding troops in WWII. From S1 to S8, GW players have witnessed the growth of this game. As the first batch of heroes,players in earlier servers have been battle-hardened and veteran. They have conquered the world with unique strategies and powerful units. Now the first max level player has appeared in S1. He is the first max level players of all servers, using his unique tactics and most powerful units in bloody battles. During the past few months, thanks to the support and love of the players, Gamebox has been updating the game on a weekly basis. Now players of all ages, professions, regions can have fun in the game through coping the internal affairs of the city, training troops, fighting against the NPC, fighting with allies, fighting with players in the arena, attacking cities and defending your city, forming groups and fighting in group. Yes, it will never let you down! If you are into online blackjack games, there some great way to play blackjack at Paddypower.com. Best known for it online casino Paddy Power, is a company that predates online gambling. Paddy Power was created in 1988 from a merge of three existing Irish bookmakers into one, and now operate over hundreds of retail shop in Ireland and UK and even have operations in Germany and France. These are the standards blackjack game that you know and love, most of these followings are pretty similar to some small distinction. I’ve listed the game and the distinction I’ve noted. You can check the full description on their site. 1-52 card deck shuffle after each game. 8 card decks are used in Pro BlackJack. On the table there are three betting circles to place your bets. Each circle is the betting area for a hand of Blackjack. Choose between one and three hands to play. You play 3 hands at the same time. European Blackjack offers the same style of Blackjack play found in most European casinos. It also have some exciting extras like the opportunity to resplit and be able to split Aces just like any other card. These are game that you play blackjack normally but there are extra way to make money. Below the list game they have and a quick description on what are the bonuses and perk of each one. You play standard blackjack with a twist, a little extra is that you may also place a Hot Streak Bonus bet. Each Hot Streak Bonus bet advances for every Blackjack win. Tie the dealer and your streak bet are preserved. Note that the hot streak side bet pays increase odds for successive winning hands. Here the pay out : two wins pays 3:2, three wins pays 3:1 and four successive wins pays 6:1. This is only for the side bet so it in addition what you have won on the regular game. Win-Win Blackjack™ offers a full-featured Blackjack game with an exciting bonus option that can turn a busted hand into a very rich bonus pay. The name say it all you play 5 hand against the dealer. 5 Hand Blackjack uses five eight card decks, which are reshuffled after every hand. Top Hat Blackjack is a standard blackjack with a Double Up Bonus. When you win you can gamble your win and double up on a high/low bet. The dealer’s card spins, and you choose either “High” or “Low.” you get it right you double up, you miss you lose. If you like casino game check out Paddy power’s new and exclusive games site. They have ton of amazing & exclusive casino games that you can either play for real money or just for fun. Go check them out it definitely worth it. 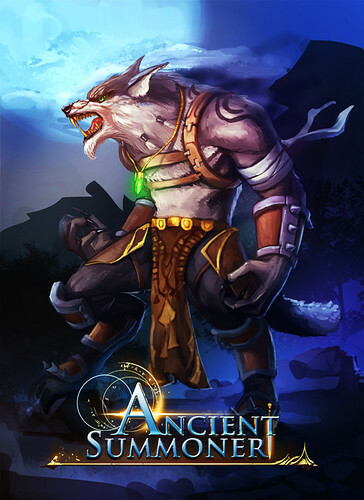 Gamebox recently just launched 2 new servers for its popular fantasy card game Ancient Summoner: S2 Werewolf and S3 Bloodmoon. These two new servers are both named after the folklore of the halfblood, because of its immense popularity not only in modern popular fictions, but also in Ancient Summoner. In Ancient Summoner, all creatures are classified into 8 races with different orientations. And the Halfblood, as unique as any other races, has become the favorite of many players. Halfblood creatures are “notoriously” known for dealing massive physical damage. Feles, Centaurs, Tengus, Sylvis, and of course, Werewolves, unlike other races that often have their own mages or priests, these halfbloods deal only physical damage, and they deal a lot. Against a halfblood gang, creatures with low HP or armor are not likely to survive even one single strike. Some proper armor and high DPS mages are the efficient way to stop these werewolves from eating your body. The half-man-half-mammal image is the signature of the Halfblood. However, not all the halfblood creatures look as scary as werewolves or centaurs. An event quest currently going on in the game is giving a halfblood creature of the cutest combination of human and mammal that you can think of: the bunny girl! It’s called Mynx in Ancient Summoner. And the cutest thing about this event is that players need to finish several independent quests to collect the item of carrot. And with a required amount of carrots, you can finally get your own bunny girl Mynx! 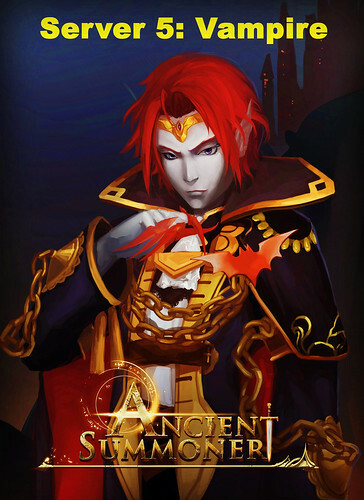 Currently, as this game became more and more popular, Ancient Summoner is now available on both Chrome Web Store (as an app) and Mozilla FireFox (as an add-on). Dark Interval by Alexander Vourtsis is horror games come out of Ludum Dare. There a strict time limit before a monster come out and kill you, you don’t seem it but at some point the music will start going faster and you will know your in deep sh*t.
Another Game from the Ludum Dare 27, in Jay Griffin’s The Duellists you a general that have assembled 5 seconds to duel against another general duelists. I really the 16-bit style of the characters and the fact the is really a quick game to play. You like comics? Strip Em All is the game for you. It let you rearrange the panels of a comics strip to make the correct story. You can click on certain part of the comics and it will trigger another image and text bubble. You’re being hunted by a murderer with a giant mutated hand and a blood-stained grin. You’re also haunted by hallucinations that’ll turn real enough to take your life just as effectively as your stalker. That game actually gave me chill while playing it, the link below is to play the trial version in your browser or if you want to play it on your computer. Click HERE if you want to download it. Some genius made Zelda II : The Adventure of Link in FPS mode. The game in done up to the first boss, which is pretty amazing considering that it be coded only by one guy. Zelda II might not be one of the fav. of the serie but it still a great game. 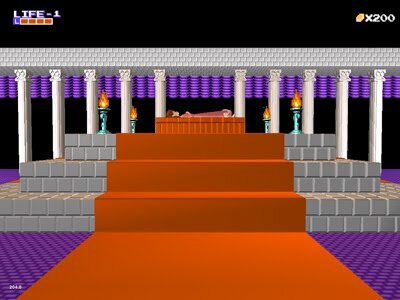 It’s pretty cool to relive it in 3d, here the link to play it. Finally a Snes emulator on iOS, there tons of them on Android but none on iOs (if you don’t jailbreak your iPhone). Try to grab it before they decide to kick it out of the apps store. Here the link from Toucharcade.